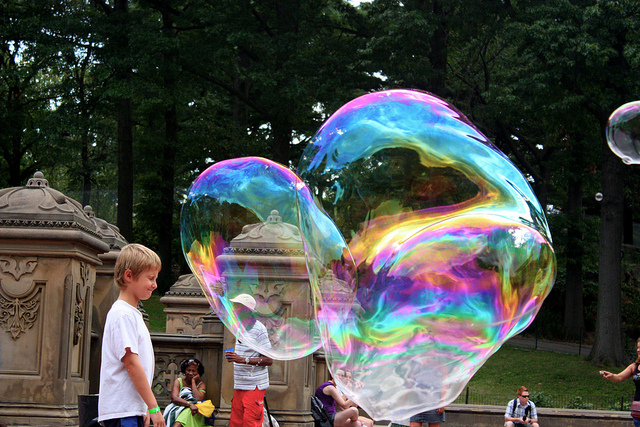 Is an Ed Tech Bubble Coming? The education market continues to shift toward digital content and educational technology. According to the newly released "Supplemental Products Market: 2014 Size, Growth and Trends" by Education Market Research, the emphasis on digital products continues to grow, with 45.9% of 86 companies saying their focus was 51% or more on digital, compared with 23.8% of companies in 2010. Companies with a higher emphasis on digital also were more likely to report higher anticipated sales for 2014 in the study. Major publishers are also reporting that they have shifted to about half digital, half print for higher education and 30% digital for K-12. These companies are slowly starting to change their culture, shifting from warehouse personnel to engineers. Digital-focused companies who started with that culture do have some advantages, but the major publishers still have the advantage of understanding how to successfully deploy into a school and build on the relationships they already have with teachers and administrators. So with all this growth, is an ed tech bubble coming? It may be, but there is a long way to go. Fewer than half of a percent of classrooms are actually using district-purchased digital content. The bandwidth in schools also needs to catch up. Additionally, digital companies need to educate schools and districts on how to evaluate digital products. Publishers can do this by literally calling out page-by-page where the textbook meets the standards. Fortunately, schools are eager to learn and want to be part of digital growth. Companies must understand it goes beyond products to how they are deployed and what relationships are built. Ultimately, riding the wave of digital growth does not depend on a breakthrough big idea, but on companies doing a lot of little things right every day.